Who Is Entitled To Bring Forth A Wrongful Death Lawsuit? What Are the Damages That Next-Of- Kin Can Claim In Wrongful Death Cases? Wrongful death cases are, undoubtedly, amongst the most unpleasant cases that you might have to deal with. Going through the grief and sorrow of those who actually want to file the case is definitely something particularly disturbing. However, wrongful death cases are also rather specific and there are particularly important regulations and provisions that you would need to take into account. With this in mind, let’s take a quick look at the specifications that you would have to consider. Right off the bat, wrongful death cases aren’t exactly like all other personal injury cases. You won’t be able to claim all the damages that you could if the plaintiff was still alive. For instance, you wouldn’t be able to file for pain and suffering on behalf of the deceased because there is no actual way to objectively quantify them and presuming damages of the kind is highly unethical. Furthermore, you won’t be able to file for loss of income as the plaintiff is already deceased. 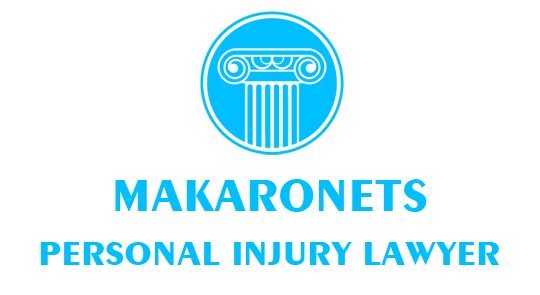 The damages that could be claimed encompass the actual damages that were paid in medical expenses and recovery bills, loss of companionship, loss of support – basically, the majority of damages that could be claimed anyways with certain obvious exceptions which need to be accounted for. In many cases, funeral expenses can also be claimed. However, you need to have tightly drawn case before you file for claim, and that is why it is best that a personal injury lawyer represents your rights. This is also very important. Historically, in Canada, up to some time ago, when the injured passed away, so did the right to file claims. The one who caused the death would still be held accountable but only on criminal charges and no compensation would have been paid. Obviously, this approach is long overdue. Now, under the Family Act, the inheritors or the representatives of the estate of the deceased are capable of filing a wrongful death motion for monetary compensation. This is only logical. There is no need for the burden of recovering certain expenses to fall upon them. For instance, the children of a parent who has passed away as a result of a negligent driver shouldn’t have to pay the expenses for the medical bills, funeral costs and other related ones – this should be directly imposed on the one who was responsible. Wrongful death claims are particularly challenging as they pose a lot of difficulties when it comes to proving negligence and actual damages. Furthermore, the claims are additionally complicated because of some further motions like the one for compensation of loss of companionship or of support which are also almost always going to accompany the wrongful death claim. The proving is also challenging as the lawyer needs to determine exactly that the negligent behavior caused the death.